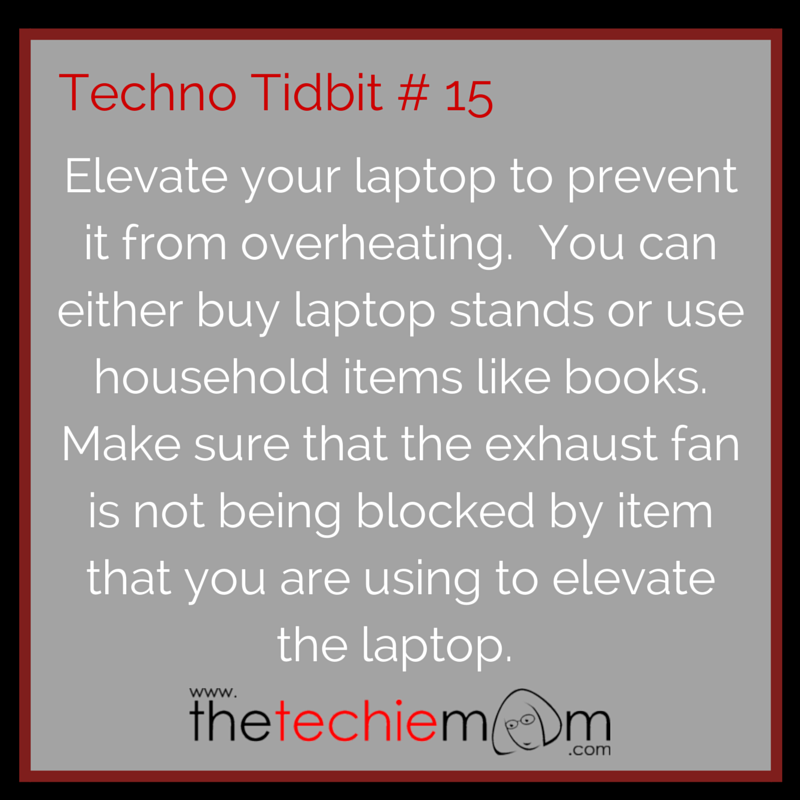 Techno Tidbit #15: Elevate your laptop to prevent it from overheating. You can either buy laptop stands or use household items like books. Make sure that the exhaust fan is not being blocked by item that you are using to elevate the laptop.